Compliments of the new year to our wonderful readers and I hope you all had a great festive season and are raring to go to realise your dreams and wishes for 2019. Remember, to change your 2018 it will take more than just the turn of the new year. The change has to come from within otherwise it will be the same old story. It is said that Benjamin Franklin once said, “If you fail to plan you’re planning to fail.” So, unless you make a change, your 2019 will be just as good, if not bad, as your 2018. We’ve been treated to some scintillating and exciting football in the first round of the fixtures of the new year and it looks like we are in for a great second round of the season. While there’s so much to talk about since the last edition of Soccer Laduma, one can’t overlook the fact that arguably the biggest team in the country, Kaizer Chiefs celebrated their 49th birthday on Monday, January 7. What that means is that on January 7, 2020, Kaizer Motaung’s brainchild will be turning half-a-century old and that’s a remarkable achievement for the former left-footed striker, nicknamed “Chincha Guluva”. When Orlando Pirates decided to expel the likes of Ewert Nene and a number of players from their ranks in 1969, no one could have predicted what would come of that decision. History has it that the decision caused a lot of uncertainty and the last thing on the expelled players’ minds was to form a new club, breaking away from the Buccaneers, for fear and doubts of what could happen and how everyone would take the decision. 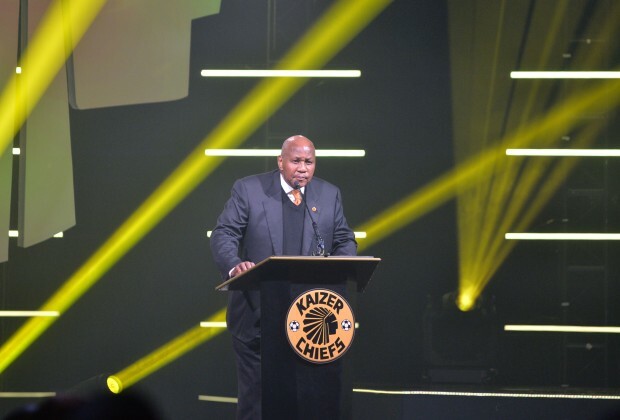 With the fear and consternation abound, I hear that Kaizer Motaung’s late father, Cyland, was among those who fully supported and encouraged the decision to form a new club that went on to shake the foundations of South African football. Since then, South African football’s landscape has never been the same. There are so many other legendary figures that played a significant role in what has become an institution and one of the biggest brands in the world. People like Nene, Banks Setlhodi, China Manna and so many others sacrificed a lot and contributed immensely to what has become Kaizer Chiefs today. Their contribution is sadly underemphasised and the new generation of the team’s supporters hardly knows anything about these legendary figures that sowed the seeds that produced the fruits they see today, but that’s a story for another day. In celebration of this giant club’s 49th birthday, while I only became aware of them in their second decade, I must admit that they’ve done a lot for South African football. The number of top quality players they’ve produced over the years, the number of lives they’ve changed, the joy and happiness they’ve brought to the millions of their supporters, the interest they’ve drawn from everyone – including bitter rivals – the level of competition, their impact in the local game and the league, the platform they’ve provided to so many talented youngsters from poor backgrounds, the job opportunities they’ve created over the years and, more importantly, the love and peace they’ve brought to South Africa and the role they’ve played in uniting this country is nothing even the great Kaizer Motaung would’ve had in mind when they formed this team. Their impact continues to be felt throughout. It is the formation of this club that saw the original Soweto Derby between Orlando Pirates and Moroka Swallows become a thing of the past. Chiefs dominated on and off the field, their marketing team, their Public Relations team, their technical team, players, supporters and everyone associated with the club were always a step ahead of the rest. What can’t be denied is the fact that gone are those days, sadly! The team has dropped the ball big time in the last decade or so. Their dominance has become sporadic and that could be subsequent to either the other teams catching up with them or Amakhosi having reached the ceiling and not being able to grow any further, which would be a sad indictment. Not every player could wear that famous Gold and Black jersey; in fact, many players had shivers down their spines and became so nervous wearing that jersey that they had to be shipped away, only to show their true potential elsewhere. Such was the honour and privilege of wearing the Chiefs jersey. Fast forward to today, there have been a number of surprising signings by the team and players that would be deemed surplus to requirements at less-pressured teams but deemed good enough to sign for the Naturena-based club. How often do you hear the term “Glamour Boys” used to call Chiefs these days? Not often. Why? Simply because there’s not been much glamour associated with Amakhosi in recent years! The scouting system has been pathetic, the club’s identity lost, the club’s trophy cabinet empty, anyone can now wear the club’s famous jersey, most players have no nicknames, playing for Chiefs has become just another Absa Premiership contract. This goes against everything this sleeping giant stands for and the sooner everyone pulls up their socks to get the team back to where it belongs, the better for everyone. The recent supporters’ violent behaviour at Moses Mabhida Stadium was just an indication of the level of frustration the supporters have reached and, for the sake of South African football, I wish Chincha will get his team back to greater heights. The club’s 50th birthday anniversary has to be a year to remember! That’s non-negotiable and preparations should start right now to ensure that happens. Happy 49th birthday, Amakhosi!